210,00 EUR 19 % VAT incl. This machine will sweep your mowed grass and dirt, cigarette butts, etc. in the container lying behind. In dry terrain that"s no problem. 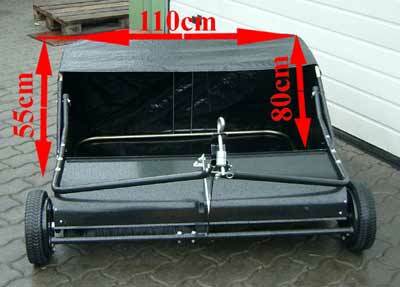 The Sweeper can be mounted to any tractor or mower / Ride-on mowers. Due to its universal hitch that is not a problem. 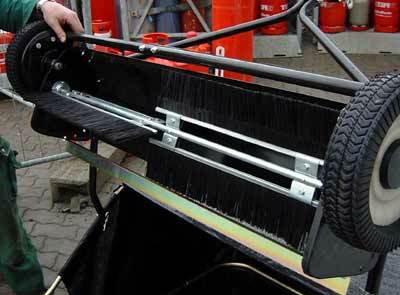 The shaft with poly-brushes can be adjusted in height by means of side lever. 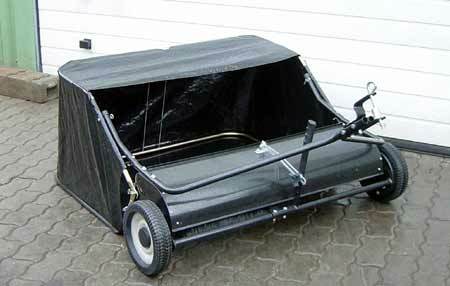 The emptying of the catch container is possible by means of a cable pull at the lawn tractor.